Recently I put together a welcome gift for our new neighbors………. with a great deal of help from my favorite ‘go-to’ - Pinterest!!! After looking around I knew I wanted to do something that would die or you could eat (words of advice Mom always gives when considering gifts). 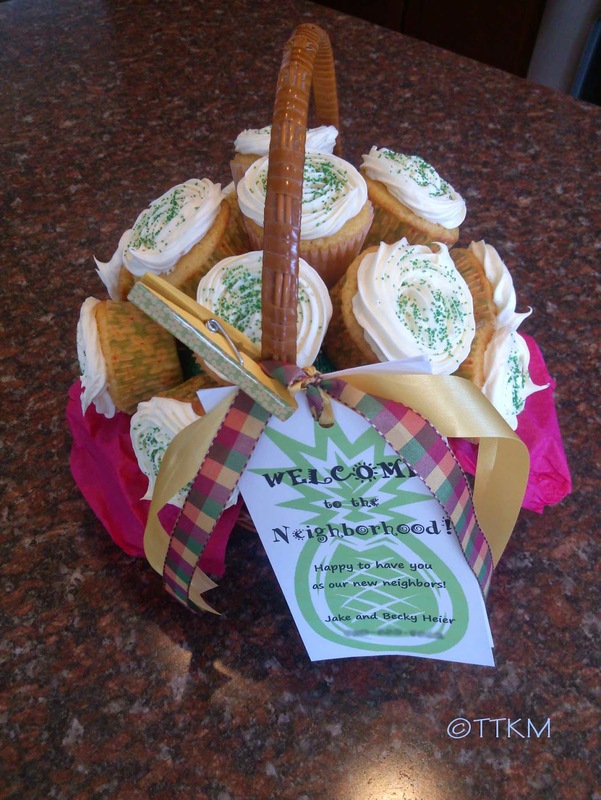 So I landed on a cupcake bouquet. After all, this seemed like the perfect marriage of what I was looking for! I found several examples of these and great how-to’s for piping a rose (don’t look at my frosting for the rose detail though – I don’t have the right ‘tips’, yet!) So all I had to do was find a recipe! 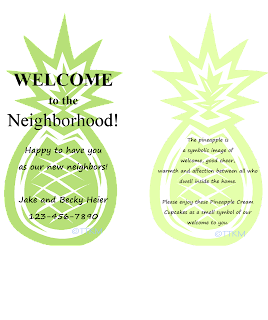 After a quick web search for traditional welcoming symbols I landed on ‘PINEAPPLES’. And even faster than that found a great (and easy) pineapple cake recipe that just spruced up a store bought cake mix. Photo of my creation and the welcome note.